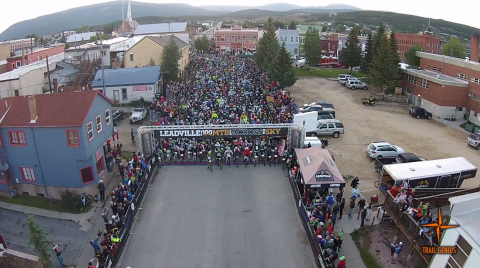 In the summer, Leadville is all about the Races! Check out the links below to find out all about it! Blueprint for Athletes Leadville Race Series! The Blueprint for Athletes Leadville Race Series began in 1983 with just 45 runners making the epic 100-mile trek through rugged Rocky Mountain terrain. Today, the world-renowned series stretches from New York to California and hosts thousands of racers on foot and in the saddle. Year after year, endurance athletes from all over the world test their grit, guts and determination with the ultimate goal of “Racing Across the Sky” and earning the coveted silver and gold buckle. Race with us in 2016 and push your mind and body to the limit. The red carpet awaits. Leadville Boom Days is a Colorado Mountain Festival and historical celebration of the Old West, with gunslingers, burro races, contests of mining skill, and a street fair with over 100 food and craft booths. It is always the first full weekend in August. In 2016 it will run August 5th through the 7th. Come join us for three days of fun, food, arts and crafts, and activities for the whole family! We still have vacation Rentals available for the Race Series! Book it today!